In a global economic landscape of hyper-commodification and financialisation, efforts to assimilate digital art into the high-stakes commercial art market have so far been rather unsuccessful, presumably because digital artworks cannot easily assume the status of precious object worthy of collection. This essay explores the use of blockchain technologies in attempts to create proprietary digital art markets in which uncommodifiable digital artworks are financialised as artificially scarce commodities. Using the decentralisation techniques and distributed database protocols underlying current cryptocurrency technologies, such efforts, exemplified here by the platform Monegraph, tend to be presented as concerns with the interest of digital artists and with shifting ontologies of the contemporary work of art. I challenge this characterisation, and argue, in a discussion that combines aesthetic theory, legal and philosophical theories of intellectual property, rhetorical analysis and research in the political economy of new media, that the formation of proprietary digital art markets by emerging commercial platforms such as Monegraph constitutes a worrisome amplification of long-established, on-going efforts to fence in creative expression as private property. As I argue, the combination of blockchain-based protocols with established ambitions of intellectual property policy yields hybrid conceptual-computational financial technologies (such as self-enforcing smart contracts attached to digital artefacts) that are unlikely to empower artists but which serve to financialise digital creative practices as a whole, curtailing the critical potential of the digital as an inherently dynamic and potentially uncommodifiable mode of production and artistic expression. In what follows, I discuss the features of Monegraph as pointing towards the creation of a conceptual-computational financial technology hybrid, in which the blockchain serves as a kind of copyright enforcement tool aimed at bringing digital art under the purview of intellectual property policy, thus assimilating it into the existing property-based circuits of the global art market.3 This development is symptomatic of broader sociological tendencies of neoliberalism, financialisation, and cognitive capitalism that saturate our lifeworlds ever more thoroughly; indeed, it appears to form an extension of these trends. My essay is not an attack on efforts to help artists protect their creators’ rights. What I highlight, rather, is that digital art is becoming a site of intense contestation as embattled target of commodification and financialisation efforts. Simultaneously, digital art emerges as an important zone of resistance where artists and creative communities have an opportunity to help shape blockchain technologies in ways that challenge conventional perspectives on private property and the enclosure of cultural commons, rather than feeding into them. When media artist Rafaël Rozendaal sold the Internet-based artwork ifnoyes.com at the Phillips contemporary art and design auction house in 2013 (Rozendaal 2013), the transaction highlighted issues of asserting authorship and ownership claims of digital artworks, drawing attention to on-going debates regarding the difficulty of pinning commercial value on dematerialised digital artworks (see, for example, Siner 2013). Rozendaal’s work raises questions that are highly relevant to the discussion of digital art more generally: Can artworks that only exist publicly (such as websites) be subject to private property claims, and if so, what do such claims mean and how can they be enforced? What are the contours of a digital work whose underlying source code can be easily copied and changed, and what implications might modifications of the source code have for the work’s authenticity and value? How does the concept of ownership function in relation to intangible artefacts such as digital artworks, and how can the commercial value of such works be fixed? Ifnoyes.com engaged these questions playfully, but they become serious concerns if one wishes to consider digital art as valuable property and viable investment. This is precisely the ambition of Monegraph. Tying digital artworks to the blockchain, which also forms the backbone of so-called cryptocurrencies such as Bitcoin,4 means to give them virtually unforgeable identities5 and to turn them into artificially unique, tradeable units potentially bearing commercial value, which can now be recorded, documented and monitored on a distributed, public, anonymous ledger. This, it is hoped, may help integrate digital art overall with existing art markets. Such efforts are sometimes portrayed as ontological investigations of the digital, undertaken to allow artists to recuperate agency and control over their creative expressions: the developers of Monegraph, for example, have stated that their initiative aims at empowering digital artists who may so far not have been able to affirm fair recognition and values for their artworks (e.g. Dash 2014, Sacks et al. 2015). ‘The digital’ is itself an elusive and amorphous concept, subject to intense debate in all areas of critical inquiry. For the purposes of my discussion, which connects the digital and financial technologies to aesthetics, law, and economics, the following two definitions provide a useful point of departure: Firstly, ‘digital objects appear to human users as colourful and visible beings. At the level of programming they are text files; further down the operating system they are binary codes; finally, at the level of circuit boards they are nothing but signals generated by the values of voltage and the operation of logic gates’ (Hui 2012, p. 387). Secondly, these ‘constitutional texture[s] of digital technologies’ have the effect that digital artefacts are generally ‘editable, interactive, open and reprogrammable, and distributed’, characteristics that heavily influence social practices regarding our interactions with the digital (Kallinikos et al. 2010). What these definitions share is the premise that the digital is almost always easy to reproduce and share, suggesting, again, that immaterial, digital-born artworks cannot easily attain the status of the unique, desirable collector’s items that continue to inform the standards by which the commercial art world measures value in both its aesthetic and commercial connotations. Notwithstanding the example of Rozendaal’s ifnoyes.com , it continues to be difficult to buy (let alone sell) artworks that were created, that must be distributed, and that can only be stored in digital form. Over the past decades, intellectual property (IP) policy has emerged as a preferred tool for trying to stabilise the value of digital artefacts by regulating their reproduction and dissemination legally (Samuelson and Davis 2000; Lucchi 2005). As discussed in Section 3 of this essay, justifications for the use (and expansion) of intellectual property policy as regulatory tools commonly rely on narratives that highlight the value of creative labour, harking back to the rhetoric of individual genius as deserving of acknowledgement and reward. ‘Reward’ here tends to be understood as an exclusive right to exploit the fruits of creative labour commercially, which in turn justifies the assumption that creative expressions (such as artworks) should be subject to private property claims. In promoting this view, some legal scholars argue that private ownership is desirable both as a means and an end in the struggle to acknowledge, protect, reward, and incentivise creative activities (even while admitting that private ownership ‘appears at times the opposite of a public-spirited institution, and seems even in some ways selfish’; see Merges 2011, p. 311). An opposing camp of legal scholars argues that the traditional concept of property may be generally unsuitable for creative works bound in intangible expressions (e.g. Lessig 2004; Moore and Himma 2011). Based on this perspective, critical cultural studies of law scholarship generally maintain that copyright and other IP tools serve the logic of capitalist economies, rather than benefiting individual creators (see, for example, Coombe 1998 and Boyle 2008). While the use of expansive IP policy to regulate intangible works is pervasive in jurisdictions around the globe, digital art—along with other digital artefacts that are inherently copyable, reproducible, and non-rivalrous6—has proven resistant to enclosures of cultural commons through the enforcement strategies of intellectual property regimes. Initiatives such as Monegraph promise that blockchain technologies may change that. What follows below forms a critique of this promise, by way of an analysis that incorporates financial technologies (specifically distributed database protocols), aesthetics (in the discussion of representative digital artworks), philosophy of law (in particular perspectives invoked to justify intellectual property), and political economy (theories related to financialisation, immaterial labour, and enclosures of the public domain). Ultimately, my argument is that the hybridising of the blockchain and IP policy into a high-efficiency financial technology useful for regulating digital art markets will not help revolutionise the institutionalised art world to the benefit of digital artists. Rather, such developments represent a worrisome acceleration and intensification of long-standing efforts to fence in creative expression as private property. After introducing the technologies underlying Monegraph in Section 2, I will show, in the subsequent section, that the implementation of blockchain technologies to regulate digital art markets is framed by a rhetoric familiar from the history of ever-expanding IP regimes, commonly employed to veil economic agenda inherent in intellectual property policy. An additional argument is then brought into play, which will be picked up again in Section 4: since digital artworks generally do not exist as unique, scarce, or rivalrous artefacts that fit within the traditional property-based circuits of the art market, it may be the nature of the digital itself that stands in the way of turning digital art into a stable financial instrument. Philosophical and media theory-specific debates around shifting ontology of the digital will here provide important links to my concern with financial technologies and contemporary art. Overall, this discussion leads me to argue, throughout this essay, that it would be misleading to construe the use of blockchain technologies for controlling digital art markets simply as an effort to improve intellectual property rights. When blockchain technologies are deployed as a kind of computational copyright intervention, they serve not merely to facilitate the commodification of digital art objects. Rather, such developments, which likely involve the use of self-enforcing smart contracts, i.e. blockchain-based software protocols that autonomously verify or enforce contractual agreements tied to the use of digital artefacts (Buterin 2014), will serve to financialise the wider contexts within which digital art is created and disseminated. At the ever-shifting fault line between art and money, financialisation forms the last of three broader interactions (see Taylor 2011, pp. 3–15): First, the ‘commodification of art’ leads artists to produce precious objects whose value is measured by their exchange value. Second, the ‘corporatisation of art’ becomes evident both in corporations’ increasing reliance on cultural capital derived from the ownership and display of art collections and in the work of artists such as Jennifer Lyn Morone, who incorporated herself to be able to emulate (and critique) contemporary corporate business models.7 And thirdly, the adoption of contemporary investment strategies both by artists and by collectors represents the financialisation of art, as evident for example in the work of Damien Hirst (one of the highest-grossing living artists). Here, the nature of artworks fundamentally changes from commodities to financial assets and detaches investors from the abstract subjects of their financial speculation, just as it alienates artist from the creative labour tied to their production processes, which is itself streamlined towards abstract value transaction schemes. The implementation of blockchain technologies for managing transactions in digital art is an example par excellence—indeed an amplification—of this process. The financialisation of art follows a more general tendency towards the financialisation of capitalism, defined most succinctly as ‘the shift in gravity of economic activity from production … to finance’ (Bellamy 2007). When the medium in which an artwork is inscribed, valorised, traded, archived, and even displayed has itself become a financial technology, then this shift could certainly be argued to have reached at least a temporary apex. Digital art practices, then, are themselves currently in the process of becoming financial technologies when they are tied to the blockchain. Platforms such as Monegraph drive this development, and by contrasting it with recent examples of artworks that critically engage with this prospect, I will conclude by highlighting the importance of supporting practices that engage the blockchain critically, interrogating its social, political, and aesthetic implications. Digital art may thus continue to resist being instrumentalised as part of a multi-faceted, highly efficient, conceptual-computational financial technology which, in its current form, serves to control and re-centralise production, dissemination, and financialisation processes. When blockchain-based cryptocurrencies made their initial appearance after the 2008 financial crisis, in the pseudonymously published white paper that is now considered the foundational document of Bitcoin (Nakamoto 2008), they were seen as a potentially revolutionary technology with the power to disrupt the centralised banking systems that had been responsible for the financial collapse. The contemporary art world took note as well, commenting, for example, that the technology gave rise to ‘divergent speculations about the future of politics and finance outside of direct state control, from self-governing utopias to sublime dystopias’ (New Museum 2015). For the most part, this type of commentary hinted at the assumption that Bitcoin and blockchain technologies may somehow help digital artists with enforcing their creators’ rights in ways that legal and economic policy have been unable to. An assumption underlying this perspective is that artists rely on (and are primarily motivated by) the ability to control the existence and circulation of their creative expressions as scarce, valuable art objects. This has always been at the core of arguments in favour of expansive intellectual property regulation; now, arguments in favour of linking digital art to blockchain-based technologies are for the most part returning to the same perspective. This section details the technologies underlying blockchain-based systems, to set up my subsequent discussion of their emerging connections to established, conservative perspectives on IP. Adding digital artworks to the blockchain means to record their existence along with details regarding their provenance, value, exhibition history, etc., in a public, real-time synchronised database that is extremely difficult to forge. Platforms such as Monegraph hope that in this way, digital artworks that were once considered uncollectable due to the inherent immateriality of the digital substrate within which they are bound may undergo an ontological transformation from infinitely reproducible intangible artefacts to ones that are artificially scarce and therefore, potentially, valuable. When IP policy has previously been called upon to facilitate the financial exploitation of creative expressions, this has generally occurred through the granting of exclusive rights over the managing of the artworks’ reproduction. Given the easy mechanical, technological, and digital reproducibility of many creative expressions (such as printed materials, photographic images, recorded sounds, moving images, and, of course, digital files), IP law emerged as a legal measure designed to prevent the wildfire-like spreading of unauthorised copying and reproduction that seemed to erode the commercial value of culture.8 However, any quick online search will reveal that IP law has never been able to catch up with technology and is not an overly effective tool for protecting the interests of intellectual property owners. Monegraph’s proposition is to remedy this problem by using blockchain entries as unique, publicly distributed identifiers to stabilise the identity of digital artworks. As I argue, this inscription of blockchain technology with economically motivated principles of intellectual property represents the emergence of a hybridised conceptual-computational financial technology. In theory, the Bitcoin protocol, the blockchain, and similar technologies decentralise transactions in order to make them independent of institutional structures such as banks. Early purveyors of Bitcoin envisioned that this could free participants in financial exchanges from having to rely on corruptible institutional agents as mediators (Nakamoto 2008). This would allow financial instruments to approximate a more unmediated, pure form of Simmel’s vision of money as a ‘social technology’ that might function most smoothly when transactions are treated as mathematical problems (Simmel 2004; see also Dodd 2015).9 In conventional monetary transactions, conducted in fiat currency and facilitated by agents who answer to a bank or brokerage firm, participants have to place trust both in the mediating institutions and in the socio-economic, political, and legal stability of the system that vouches for the currency’s integrity. In transactions carried out along the blockchain, the financial technology itself becomes both the medium through which the transaction participants interface and the system’s safeguarding mechanism. In other words, when dealing with a bank, we have to trust the institution; when dealing in cryptocurrency units, presumably we have to trust no one but the technology itself. In theory, the integrity of the carrier system is here not ideologically but cryptographically determined. However, numerous scholars have by now challenged this assumption, for example by showing the social, political, and material embeddedness of blockchain-based financial instruments (see Scott 2014 and Karlstrøm 2014). To demonstrate the attractiveness of blockchain systems for purposes of regulating digital art markets, it is advantageous to temporarily bracket concerns with the technology’s embeddedness (I will return to them in the concluding section of this essay). If, for the moment, we accept cryptocurrencies’ promise of offering cryptographic security and truly trustless transactions, it becomes clear that in providing both the containers of value and the medium (i.e. infrastructure) for financial transactions, cryptocurrencies might represent a phenomenological paradigm shift: how we are experiencing and sensing finance and how it registers on an affective and moral spectrum changes radically when financial transactions turn from inherently social to inherently computational phenomena. After such a shift, traditional, human-contingent mechanisms of regulation and oversight, notoriously subject to corruption, would no longer be required. The downside is that in such a system, sentience and intellectual agency are no longer available to reify finance and to help us experience its moral complexities. It has been rightly noted that within ‘the Bitcoin system, a set of powerful central intermediaries (the cartel of commercial banks, connected together via the central bank, underwritten by government), gets replaced with a more diffuse network intermediary, apparently controlled by no-one in particular’ (Scott 2014). It remains to be seen whether the end of human and institutional intermediaries in transactional relationships can be a good thing. Techno-utopian cryptocurrency supporters generally overlook (or ignore) the sociological dimensions of financial systems, which are never truly autonomous and always ‘operate in a political context’ (Carruthers and Kim 2011, p. 244). For the purpose of my discussion, two aspects of the blockchain must be highlighted in particular: first, how the computational transaction infrastructure can be linked to current IP policy; and secondly, how the crucially important ‘proof-of-work’ concept that drives most cryptocurrency protocols relates to philosophical perspectives on IP. The blockchain is in essence a publicly accessible electronic database whose content is protected from corruption by a cryptographic system that is exceedingly difficult to break. Because of the system’s complexity, it is frequently assumed that financial technologies built on the blockchain are ‘unforgeable’ and that distributed database technologies thus afford truly trustless transactions. This is not technically correct and requires qualification. On the one hand, software flaws can allow for the corruption of transaction logs and authentic currency units; on the other hand, sociological dimensions of the trust issue must also be kept in mind—good examples include the development of ‘permissioned blockchains’ (BitFury Group 2015), which allow for a certain degree of manipulation from system administrators, as well as recent debate about so-called 51 % attacks, in which a party that controls the majority of transaction hashes can, theoretically, manipulate transaction records retroactively (see Bitcoin Glossary n.d.). The information stored on the blockchain is distributed across a multitude of co-existing instantiations, each of which is computationally verified every time new entries are added. This constant synchronisation between co-existing copies of the information stored on the blockchain naturally requires for the data to be accessible to all participants. This transparency, which renders the blockchain a fully public ledger, is a key safekeeping mechanism. The security of the system is rounded off by encrypting the entered information in blockchain hashes, complex numerical code blocks whose shape is determined by all transactions that came before it. These hashes constitute complex algorithmic chains of code that document their own veracity. The operations required to generate the hashes are verified by independent nodes in a distributed network and are based on calculations that are easy to validate but difficult to solve. The computational labour required for these verification processes is called the ‘proof-of-work’ and also refers to the ‘mining’ of cryptocurrency units (an activity that is, in most protocols, rewarded with units in the relevant currency). The proof-of-work system is thus a security implementation in which the integrity of data is tied to expended computer processing time (i.e. ‘work’). The unique identifiers bound in blockchain hashes serve the purpose of verifying the ledger in its entirety, ‘holding in it a digital record of every transaction that has taken place along the chain before it’ (DeForrest et al. 2015). As a consequence of this stacking of information, cryptocurrency units generally become more difficult to verify as the system matures, requiring significantly more computational labour and, presumable, rising in value. I will return to this concept in the next section, to consider whether it runs counter to Lockean labour theory and Hegelian personality theory, two philosophical tenets frequently invoked to justify intellectual property. Specifically, I will suggest that here, discussion of creative labour and authorship shifts away from creators and towards those in control of the computational labour on which the system relies. Ultimately, this foregrounding of computational labour might imbue the digital artefacts in question with a new kind of quasi-autonomous agency that also resonates with the operational logic of self-enforcing algorithmic smart contracts, rather than with the protection of creators’ rights. Perhaps the most important aspect to take away from this rudimentary description of cryptocurrency systems is that they can be used to securely document not only financial activities but any type of transaction. The complexity of the hashes allows for a considerable amount of information to be encoded within them, which can include full documentation of a digital artefact’s provenance, circulation, and ownership history. As will have become clear from my introductory discussion, and as I will go on to describe in more detail below, it is this last aspect that makes blockchain technology particularly attractive for the creators of digital art markets. The developers of Monegraph, for example, have repeatedly highlighted the ability to inscribe presumably unforgeable information about artwork in blockchain entries (e.g. Dash 2014). To exemplify how this might work, imagine a digital image, such as a GIF, which is easy to download, copy, modify, and recirculate. Once furnished with a unique, public blockchain hash detailing its provenance and identity, an authorised copy of the image could be identified as the ‘original.’ All copies, including those marked as inauthentic by their lack of the original identifier, could be allowed to continue circulating, as they would now serve to attest to the popularity and thus, potentially, the value, of the original.10 Technically, our understanding of the image’s ‘authenticity’ would no longer be bound to any particular copy of it but rather to a distributed blockchain hash that accurately and irreversibly documents the GIF’s origin, ownership history, etc. Conceptually, the authenticity of the image would no longer be inscribed in a scarce ‘original’ and linked to the creator of this artefact but rather in its distinctiveness as verified by the blockchain hash. This would form a significant departure from current cultural and legal perspectives on the original and the authentic, which generally require demonstrable originality, an identifiable authorial figure, and fixation in a distinct medium. Following the procedure outlined above, the requirements for recognition of originality and authenticity currently dominating the legal, economic, and aesthetic systems with which we codify ‘value’ could thus be satisfied in immaterial contexts. As an immaterial-yet-commodifiable art object, the value of the GIF would no longer rely on anyone’s ability to restrict its proliferation or circulation (as suggested in the following section, this is precisely what IP policy has failed to achieve). In fact, the image’s value can now be linked not to its scarceness but, instead, to its ubiquity. Connections to concepts with which digital art has previously had very unstable relationships could potentially be reinstated, including authorship, attribution, ownership, licencing rights, leases and rentals, and transfers of ownership. As I argue below, this is precisely the strategy followed by Monegraph and is reflected in the rhetoric with which the platform explains its approach. Legal, economic, and technology-focused debates on how to control value bound in easily reproducible digital artefacts frequently culminate in perspectives for or against copyright protection of artistic works. Today, copyright is characterised by an expansive focus that encompasses text-based, painterly, sculptural, photographic, choreographic, architectural, audio-visual, musical, and code-based works.11 Historically, it has been envisioned as a tool that would legally circumscribe limits and restrictions on how artworks could be reproduced and circulated and provide artists with control over these aspects. But since its emergence alongside the budding book publishing industry, copyright policy has never, and nowhere, been able to effectively enforce this desired control over the reproduction of creative expressions, because it has been unable (albeit not for a lack of trying) to stem the tide of expressions bound in easily copyable media forms (see, e.g. Rose 1995, Lessig 2004, May and Sell 2006). I have already alluded to the assumption that immaterial art objects, if their reproduction and circulation cannot be efficiently controlled, may not be seen as valuable investments by gallerists and art collectors. By promising to stabilise the digital artefact itself, blockchain-based technologies seem to offer a fix for this issue, which has been described as contemporary digital art’s most pressing problem. One of Monegraph’s co-founders has summarised this perfectly by describing ‘the effortlessness with which any given work can be instantly, and perfectly, copied’ as ‘the most fundamental cause of concern’ in the field of digital art (Dash 2014). Monegraph’s vision is thus that the blockchain might reshape the digital into something that can be properly accepted as unique artworks in conventional terms. This desire to ‘stabilise’ the digital is clearly linked to a concern with the economics of contemporary art, rather than purely to a concern with the ontology of the artwork. The developers of blockchain-based digital art market regulation efforts like to invoke aesthetic theory and utopian political projects in discussing their work12, but projects such as Monegraph ultimately point more traditional, capitalist agenda of IP regulation. Overall, attempts to tie digital art to the blockchain and to IP theory resemble a well-established tradition of seeking to legitimise the propertisation of creative expression. Partly because the concept of authorship often appears as an ‘uncritically accepted notion’ (Jaszi 1991, p. 466), it has been frequently invoked, over the centuries, for the purpose of controlling access and reproduction of creative expressions—commonly in the name of the author/artist but generally on behalf of publishers or other rights holders. The initial phase in the conceptual history of copyright doctrine concluded once the notion of the abstract ‘work’ was established and could aid in the ‘legal objectification of the fruits of creative labour’, thereby setting the ‘necessary conditions for a market in [creative expressions] as commodities’ (479). Thus, the rhetoric of legitimising intellectual property doctrine commonly focuses on the protection of creators’ interests and ensuring rewards for their efforts, while simultaneously disguising underlying economic agenda.13 In statements proposing that the use of blockchain technology could help ‘create a more traditional model of authorship for net artists’ (Dash 2014), what remains unacknowledged is that intellectual property discourse desires not only to protect creators’ rights but also to treat commodified creative expressions as financial instruments that streamline the commercial exploitation of creative expression in a capitalist mode. It is generally accepted that IP policy strives to establish, fix, and facilitate the commercial exploitation of a protected work’s value. But the non-scarce and non-rivalrous nature of easily replicable informational artefacts constitutes a serious problem for this model and means that the idea of IP is becoming difficult both to justify and to enforce. Efforts to resolve this difficulty through the use blockchain technologies constitute shifts from IP-as-monetary-instrument to IP-as-financial-technology. This falls in line with the differences between commodification and financialisation, provided in the introduction, and is evident in all areas in which IP rights protection and policy enforcement responsibilities are shifted to algorithmic digital rights management (DRM) technologies as well as, more recently, self-enforcing smart contracts. Beginning with early copyright regulation such as the British Statute of Anne (1710), the law has been continuously instrumentalised for commercial exploitation of IP assets. These instrumentalisation efforts foreground creators as the primary subjects and beneficiaries of IP law, even though it is generally an elite community of commercial stakeholders who capitalise on the creativity of those they represent (such as publishers owning the work of authors, music labels owning the work of musicians, film studios owning the work of screenwriters, etc.). Many literary historians, legal scholars, and cultural theorists agree that the legal and aesthetic concepts of ‘authorship’ to which present-day notions of cultural ownership link are deployed as a Romantic fiction that conveys untenable ideals of original genius (see, for example, Drahos 1996, Craig 2007, and Jaszi 2011). The aesthetic concepts of the ‘work’ and of ‘originality,’ on which copyright law and most philosophies of intellectual property heavily rely, may be well aligned with the commercial interests of rights holders—but they exist in contradiction to the fundamentally dynamic and open-ended nature of creative expression. Copying and other reproductive techniques against which IP policy turns were ‘always already a crucial aspect of our ability to articulate ourselves’ (Boon 2014, p. 59). To demonstrate these points, a brief survey of the philosophical underpinnings of intellectual property discourse is useful here. Arguments in favour of intellectual property rights commonly emerge from one of three philosophical perspectives: a perspective modelled on Lockean labour theory of appropriation, which asserts that we gain legitimate ownership claims over intellectual property assets by ‘mixing’ our labour and effort with the works to be protected; a Hegelian perspective that views intellectual property as an extension of individual personhood and self-ownership and which justifies the subjection of creative expressions to ownership claims by insisting that IP assets externalise aspects of our selves that should rightfully be in our possession; and lastly a utilitarian perspective that legitimises intellectual property by foregrounding its positive impact on economic and social progress and which favours incentive-based systems to encourage protection of IP rights.14 The first two perspectives are deontological and posit intellectual property rights as natural rights; the third is consequentialist and justifies the propertisation of creative expressions by reference to desirable effects that are assumed to result from the protection of IP rights. I will briefly comment on each of these perspectives in turn, focusing, for brevity, on aspects relevant to the present discussion of legitimisation efforts that use the blockchain as an IP enforcement tool. John Locke’s well-known dictum regarding an individual’s natural right to enjoy the fruits of their labour (1690) was not originally made in the context of immaterial creative expression; nevertheless, it provided a philosophical foundation, for example, for Britain’s first copyright law in the eighteenth century, and has long served as reasoning behind the argument that a creator’s labour expended in producing an original work of art should serve to establish an ownership claim. According to this perspective, by ‘mixing’ creative labour with a material or immaterial expression, a creator removes an idea from the commons and (now that it is bound in an artwork) makes it subject to private property claims. Copyright doctrine accepts universally that IP law cannot protect ideas (that ideas, in other words, cannot be owned) and that ‘fixity’ of an expression in a distinct medium is a prerequisite for protectability.15 This perspective sits well with Romantic theories of authorship and original genius and continues to inform copyright policy; based on Locke’s labour theory of appropriation, it is easy to claim that creators are entitled to control their creations and to benefit from them commercially as a natural right. However, Lockean justifications of intellectual property have not gone unchallenged. Perhaps most notably, P.J. Proudhon, prior to his correspondence with Marx on related subjects, has questioned whether Locke’s rather simple definition of labour is differentiated enough (1840); more recently, critiques have often focused on whether expended creative labour should automatically yield property rights at all and on how extensive such rights can or should legitimately be (see Moore and Himma 2014). The combination (or conflation) of ‘moral and material interests’ in this statement points to a lack of clarity regarding how to define and measure the value of creative labour, an issue by which Monegraph’s approach is also characterised. The combined invocation of deontological and consequentialist perspectives, discussed below in more detail, muddles the contours of each and makes it difficult to consider, for example, whether the foregrounding of financial reward undermines artistic value or whether the value of creative labour is directly linked to the commercial value of that which is created. Issues of immaterial labour thus emerge as crucially important to discussions of Monegraph. The platform and the rhetoric through which it is promoted blur the boundaries between immaterial (human) labour and computational labour and seem to propose that the latter (in the form of algorithmic proof-of-work verification processes) can serve to protect the former. What remains unaccounted for in this constellation is the basic (but, again, crucial) question of who owns this labour and the modes of production that frame it. If blockchain-based digital art market platforms were truly to serve artists, artists would have to be able to retain substantial control in this scenario. This, however, is not in the nature of the decentralised database solutions and smart contract applications under discussion here. Monegraph’s developers draw upon a mix of deontological and consequentialist IP justifications to explain the platform’s aims. A closer look at this rhetoric reveals the deontological justifications to be conceptually at odds with blockchain technologies, while the third, consequentialist model once more highlights the economic interests underlying propertisation efforts. Overall, this puts into doubt the assumption that Monegraph will, by design, protect creators’ interests. Rhizome and the New Museum have positioned Monegraph as a hybrid of exploratory art project, aesthetic theory, and commercial product. Its founders describe the platform not as a radically new technology but as a new solution to the old problem of how to efficiently capture the value bound in IP assets. Among the inspirations for the project were financial analyst Larry Smith’s provocation to ‘imagine digital items that can’t be reproduced’ (Ford 2014), as well as the difficulties the digital artist Rafaël Rozendaal encountered when, as discussed above, he sold the website ifnoyes.com as a unique artwork. Copyability of intellectual property assets has been described as an existential problem for artists for decades, if not centuries. In addition to intellectual property policy, proposed solutions for this issue have often relied on technological interference with copying processes and have included attempts to create unforgeable printing plates, embeddable watermarks, region-specific codecs designed to resist intercontinental piracy (Elkin-Koren 2011), algorithmic copy protection, and, most recently, self-enforcing smart contracts by way of which digital assets might, for example, automatically collect licencing fees when reproduced or auto-destruct if illegitimate copying is detected. Early forms of DRM systems that automatically enforce ownership claims and creators’ rights by preventing, for example, copying, downloading, or streaming activities, such as we find them on CDs and DVDs, have thus been superseded by more insidious solutions, in the form of autonomous algorithmic tools that monitor and control access, reproduction, etc. (A notorious example of such a tool was an eBook licence introduced by HarperCollins, which caused eBooks held by lending libraries to self-destruct after they had been accessed by a certain number of users, forcing the libraries to repurchase the digital books.21). Such technologies are designed to stand in for copyright law. Problematically, DRM technologies commonly enforce the most narrow view on the rights they protect; they thus tend to treat all users indiscriminately as potential violators of copyrights. As a result of this hardwired bias, many legitimate copying activities that would be protected by copyright law’s fair use of fair dealing exemptions can become impossible (Armstrong 2006).22 In other words, algorithmic protection technologies are prone to detecting IP rights violations in instances where a sentient interpreter of the law might have identified a legitimate use. Such issues take on a more serious nature with emerging smart contract technologies, since here the monitoring of digital artefact use and the enforcing of hard-coded rules can be completely decoupled from human interference, regardless of whether they correspond meaningfully to the contractual agreements they are designed to enforce. The law is, at least in theory, dynamic and able to accommodate newly emerging uses and customs. By design, this is not necessarily true for smart contracts, which can serve to control digital artefacts much more rigidly. Design and implementation of smart contracts—systems that automatically manipulate digital assets ‘according to arbitrary pre-specified rules’ (Buterin 2014, p. 1)—has been under discussion at least since the early 1980s, initially with a focus on privacy issues and the potential of untraceability in online transactions (Chaum 1982). Then, the decoupling of smart contract design from financial purposes was proposed (e.g., Szabo 1998), and the general debate of the ends to which smart contracts could be put began to be linked more centrally to crypto-anarchy (and, by extension, Icrypto-libertarian) ideals of digital individual freedom that had been outlined a decade prior (May 1988). Current state-of-the-art smart developments include platforms such as Ethereum, a decentralised computing platform that promises to run smart contracts ‘exactly as programmed without any possibility of downtime, censorship, fraud or third party interference’, for purposes including, but not limited to ‘decentralised exchange, financial derivatives, peer-to-peer gambling, and on-blockchain identity and reputation systems’ (Buterin 2014, p. 1). The use of smart contracts thus allows initiatives such as Monegraph to offer a radically new approach to digital art’s presumed non-scarcity problem. Rather than controlling the circulation of digital artefacts by making them impossible to copy, Monegraph, as outlined above, makes it possible to verify a specific copy of the digital artefact in question as authentic, thereby positioning it as verifiably ownable, potentially valuable artefact. The platform’s ‘public catalogue’ can highlight the popularity of trackable digital artefacts; instead of pursuing the ambition of interfering with the reproduction and circulation of digital artefacts, the platform foregrounds reproduction and dissemination as mechanisms that produce, rather than destroy, value. In this model, registered digital artefacts can continue to circulate across networked computer systems, while Monegraph serves to document and monitor provenance, ownership, or permissions to exhibit. A key problem with the assumption that Monegraph uses blockchain technology ‘to bring meatspace scarcity to online art’ as one commentator observed (Constine 2014) is that this assumption conflates actually scarce artefacts with the creation of virtually scarce digital objects. The non-rivalrousness of informational artefacts, a concept already alluded to, is not a trait that can be easily overcome. While Monegraph suggests that blockchain-based artificial scarcity can render digital creations as reified works of art, we must keep in mind that the commercial value that may attach itself to artificially scarce digital objects is the only measurable indication that the artefacts in question are any less abstract than before. Far from representing a process of reification, the tying of digital artworks to the blockchain serves mostly to underpin the efficiency of commodification and financialisation efforts. In other words, rather than observing that Monegraph reconceptualises the commodity type in question (the digital artwork as financial instrument) in order to make it fit better with traditional systems of capitalist exchange, it might actually be more accurate to state that the platform reconceptualises the technological underpinnings of the infrastructure within which digital artworks are being produced and circulated. In tandem, the technological paradigm underlying the blockchain and the legal and philosophical paradigms underlying intellectual property form a technology that facilitates the financialisation of digital art. Lack of clarity regarding the conceptual motivations behind Monegraph informs much of the attention that the project has received. In DIS Magazine’s ‘Data Issue,’ for example, the founders of Monegraph were asked, ‘…is it not somewhat absurd to uncritically reproduce the conditions of physical objects rather than attempting to imagine new logics of thingness, ownership, exchange, etc. more faithful to the affordances of the medium?’ (Sacks et al. 2015). But, significantly, Monegraph does not reproduce the conditions of physical objects (specifically their uniqueness and scarcity); instead, it simulates the effects of these conditions. In doing so, Monegraph does indeed implement a ‘new logic of thingness,’ namely one in which hard-coded rules that define digital modes of being control the artefacts’ behaviour in relation to rules and regulations on which their commercial value hinges. McCoy himself has argued that the blockchain ledger affords a ‘contradictory possibility of ubiquity and scarcity at the same time’ (ibid.). This double existence of digital objects as scarce-yet-not-unique does not rely on a fundamental technological innovation but indicates an important conceptual shift in approaching commodification efforts. This points precisely to the difference between earlier (failed) efforts to use the notion of IP to create artworks as stable financial assets and current efforts to implement the blockchain as an IP-backing financial technology. If Monegraph was initially presented as a tongue-in-cheek comment on the futility of trying to undermine the uncommodifiability of digital art (as noted, the platform’s name stands for ‘monetised graphics’), the project has now clearly moved beyond this conceit. The project website lists a variety of electronic licences that can be generated for individual digital artefacts, which are then embedded in unique blockchain hashes associated with the artefacts in question. The ‘most liberal’ (Monegraph 2015b) of these licences, called the Snapshot licence, ‘is a commercial agreement that gives virtually all rights over to the buyer’ (ibid. ), which ‘allows [the] Licensee to exclusively use the Digital Work in connection with an unlimited number of projects, with the only limitation that [the] Licensee may not create any derivative works based on the Digital Work if Remix Rights have not been assigned’ (Monegraph 2015a). By contrast, the ‘most restrictive’ (Monegraph 2015b) licence is the Artwork licence, which ‘is for non-commercial use and personal enjoyment’ (Monegraph 2015a) and ‘allows [the] Licensee to exclusively display a registered Digital Work on any device owned by [the] Licensee and in non-commercial public exhibitions’, including reproduction for non-commercial purposes (Monegraph 2015a). Importantly, in the Monegraph ecology, it is the ‘most restrictive’ licence that permits the widest range of most non-commercial uses, while the ‘most liberal’ licence represents a strict commercial agreement. From a user perspective, these descriptions appear strange, to say the least, considering that the ‘most restrictive’ licence is significantly more open and flexible than the ‘most liberal’ one. The description makes sense, however, when read from the perspective of the prospective owner of the digital asset. From this perspective, it is clear that what the Artwork licence actually restricts is the owner’s ability to commercially exploit the work, while the so-called liberal Snapshot licence allows for extensive commercial exploitation. To further clarify Monegraph’s conservative, profit-focused direction, a brief comparison of this language to the description of the popular digital licences offered by the non-profit Creative Commons organisation is useful. Creative Commons offers a system of simple licences that can be attached to any copyrightable artefact, in order to specify permissible uses. Importantly, the overall aim is to extend permissions for derivative and reproductive uses, rather than restrict them. Each of the six existing Creative Commons licences specifies the extent to which digital artefacts can be reproduced, disseminated, remixed, and commercially exploited. Within this licencing ecology, the ‘most restrictive’ licence is, unsurprisingly, the one that grants the least rights to users (the ‘CC BY-NC-ND’ licence, which requires attribution, only allows non-commercial uses, and prohibits the creation of derivative works), while the ‘most accommodating’, or most liberal, licence is the one that permits the widest range of uses (the ‘CC BY’ licence, which only requires attribution, but permits all remixes and transformative derivatives, as well as commercial exploitation) (Creative Commons n.d.). On the Monegraph platform, the ability to derive financial rewards from uses of a digital artefact is considered ‘liberal’ because it affords the owner the widest range of rights; the fact that this logic heavily restricts audiences’ freedom to reuse the digital artefacts in question seems irrelevant. This serves well to encapsulate the direction that this initiative appears to be taking; as far as Monegraph is concerned, revolutionising the digital art market means to create an infrastructure that goes beyond rendering digital art objects as stable monetary instruments and aims to link digital art production in general to blockchain-based financial technology. I have already pointed to the importance of the concept of immaterial labour in this discussion. Generally defined as labour that ‘produces the informational and cultural content of the commodity’, the kinds of informational, intellectual, or communicational activities encompassed in this definition have come to dominate the experience of work in contemporary digital economies and often concern skills involving cybernetics and computer control (Lazzarato 2006, p. 132).23 One of the slogans used by Monegraph to advertise its platform—‘Make your work work for you’ (Monegraph n.d.)—powerfully invokes the concept of immaterial labour and suggests that this labour can be somehow automated. In the context of the present discussion, the slogan alludes both to the proof-of-work concept underlying blockchain-based technologies and to Lockean labour theory of property, as commonly invoked to justify intellectual property claims. The suggestion appears to be that Monegraph can ease the burden of immaterial labour or, at least, improve the ways in which it is rewarded. However, the conflation of proof-of-work and Lockean labour theory contradicts the concept of immaterial labour as it arises in Marxist media theory. Specifically, such theory assumes that a grain of autonomy remains with the labouring subject, and what is thus envisioned or hoped for is ultimately a break with capital (Terranova 2000, p. 40). Monegraph offers the opposite, namely a model in which value becomes irreversibly tied to semi-autonomous computational labour that could monitor and control dissemination, reproduction, and usage of digital artefacts. Locke’s views on appropriation and propertisation rely fundamentally on the active mixing of a creator’s labour with the artefact that is to become his or her creation. Monegraph, however, offers externalised, automatic value creation and protection warranted by and based on computational labour. It is not difficult to imagine a scenario in which such a foundation might be seen not only to challenge an artist’s ownership claims based on a Lockean approach but, in fact, to invalidate them. 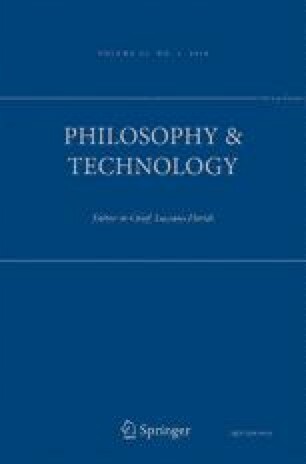 The decoupling of immaterial labour and value-verifying computational labour furthermore results in a new type of externalisation which, even if it results in the formation of a unique art object, may also bear little resemblance to the Hegelian concept of creation as the direct representation of a creator’s will. In this sense, Hegelian personality theory, too, displays poor compatibility with the Monegraph model, in which the connection between creator and work is becoming so abstract as to be, effectively, an algorithmically encoded correlate of the ownership structure circumscribed by copyright law. Following this logic, an argument might even be made that the rewards for controlling circulation and commercial exploitation of a work should belong to the algorithm or, by extension, to those who control it—a further alienation of creators’ immaterial labour from the fruits of this labour. This approach is already realised at least partially in system like Bitcoin, where, as noted, the computational labour required to verify the system’s integrity simultaneously constitutes a ‘mining’ process rewarded with currency units—all of which points to a reward/compensation logic in which computational labour directly produces abstract ownership without a need for ownable artefacts as the intermediary subject of ownership claims. Self-enforcing smart contracts and algorithmically monitored copyright licences might be, to a certain degree, autonomous—but they know no ethics or politics of autonomy. Automated enforcement of contractual agreements means, rather, that they are ideal financialisation tools because they are beyond the direct control of the creators they are presumed to serve. 4 Digital Art as a Critique of Blockchain-Based IP Enforcement? The critical thrust that drives contemporary art’s engagement with the supposedly problematic immateriality of the digital surely differs from the agenda underlying attempts to establish and control Bitcoin-based digital art markets. Experimental art has often problematised its relationship with the concepts of the work, the artist, and, by extension, the nature of creativity itself. Throughout the twentieth century, as art was ever more fully integrated with the logic of capital, this has become both more important and more difficult. In the resulting constellations, the digital has emerged both as a vehicle for critiquing this integration and as an effective container for financial assets. Importantly, both of these points hinge on the dynamism of the digital as easily copyable and replicable. Rather than streamlining commercial exploitation and bringing it under the purview of algorithmic entities, it is this ambition to retain the dynamism of the digital in all aspects of art-making that should structure our engagement with blockchain technologies. It should be clear that the complications provoked by such an approach (for example with regard to issues of attribution and the verification of authenticity) are precisely what motivate initiatives like Monegraph. Concerns with critical, creative engagement of the blockchain thus appear diametrically opposed to the economic agenda of commercial blockchain applications. The tension emerging from this opposition indicates, once again, that while in aesthetic terms, the digital continues to inhabit sites of potentially uncommodifiable practice such as those net art sought to cultivate, in economic and legal terms the digital is squarely situated within the conflicted zones of commerce that intellectual property policy continually seeks to colonise. The fact that intellectual property regimes have so far failed to control flows of intangible creative expression effectively should not be taken to mean that digital art (or the digital artist) is in need of saving by blockchain technology. The digital is not a threat to art at all. It can, however, function as an impediment to capital’s appetite for commercial exploitation. In this regard, allowing commercial applications of blockchain-based financial technologies to defuse this critical potential is a grave mistake. The reproducibility of the digital is linked to a utopian idea of over-abundance that has frequently been positioned against economic models in which the value of art-as-commodity is always measured as a function of scarcity. The artificial production of scarcity promised by Monegraph, in turn, appears to epitomise the enduring capitalist ideal of not only identifying new markets but also creating and controlling them. Foregrounding the interests of creators in explaining and justifying such applications may amount to little more than rhetorical spin, designed to generate goodwill in the artistic communities that are treated as consumers of a valuable service. This is how intellectual property rhetoric has always worked. In approaching a conclusion, I now want to return to a core question regarding artistic agency and suggest that critical engagement of decentralisation technologies is vastly more desirable than merging digital creative practices with financial technologies. At the moment, only a small number of artists and curatorial collectives engage the blockchain with the criticality it commands. Among them is the London-based digital art and community collective Furtherfield, with an on-going project, Art | Data | Money, which blends exhibitions, workshops, and interdisciplinary research with activism and which engages blockchain technology with the explicit goal of building a ‘commons for art in the network age’ (2015a). This ambition departs from the work of contemporary artists such as Simon Denny, whose work on the blockchain (shown in 2016 both at Friedrich Petzel Gallery in New York City and at the Berlin Biennale (Biennale n.d.; Friedrich Petzel Gallery n.d.) is a far less critical documentation of emerging financial technologies. Projects such as Art | Data | Money are in stark opposition to the uses proposed by Monegraph and invite us to think of decentralisation not only as a framework for emerging financial technologies but in the more radically utopian senses in which the concept was initially seen by its early developers, who were inspired by Icrypto-anarchist ideas rather than corporate finance.25 The Furtherfield project description identifies in the blockchain a ‘wealth of possibilities for mutual prosperity’ (Furtherfield 2015a). This formulation does not refer to the kinds of enrichment envisioned by the developers of commercial blockchain-based digital art markets but instead to a community-oriented focus that prioritises collective cultural ownership over private property models. Such a focus calls for alternative applications for blockchain technologies that oppose the financialisation of digital art and provides alternatives to it and which foreground the commonality and openness the blockchain can theoretically enable. At least two recent exhibitions (The Human Face of Cryptoeconomics and Neoliberal Lulz, both in London (Furtherfield 2015b; Carroll/Fletcher Gallery 2016) and the Institute of Network Culture’s activism-focused international symposium MoneyLab (Institute of Network Culture 2016), in Amsterdam, suggest that there is a growing recognition of the importance of such a direction.26 Myers (2014), included in the first of these exhibitions, questions the value presumably created by cryptocurrencies’ algorithmic proof-of-work systems and reconfigures them in such a way that the computational labour is rendered without value. The artwork represents numerical blockchain hashes as bitmap images, and the artist ‘(mis-)us[es] machine vision algorithms to find imaginary faces in [the] cryptographic hashes’ (Myers 2014). The computational verification labour now serves to carry out unpredictable, arbitrary, and somewhat fantastical acts of portraiture. It is no longer useful for generating economic value according to the Bitcoin/blockchain logic and does not serve to document or preserve uniqueness (and artificial scarcity). Instead, it has been recovered for quasi-aesthetic purposes that combine a commentary on the value of computational labour with a mocking reference to the art historical canon of portraiture masters, which continue to influence mainstream definitions of artistic value. A work such as Facecoin reconceptualises immaterial art and, in the way it raises questions about the meanings of immaterial labour, functions as a performative investigation of the underlying technologies. Commodification and financialisation efforts are here absent, and the operational logic of the artwork gestures, at least indirectly, towards the recuperation of the anti-corporate and anti-institutional potential the blockchain was initially understood to have. This is diametrically opposed to Monegraph’s use of the proof-of-work concept to establish and fix artistic value. In Facecoin, no claim is made that the computational labour deployed would somehow tie the work more directly or firmly to the person of the artist. In fact, Facecoin would seem to highlight the absurdity of this notion given the computational, algorithmic contexts in which this digital artwork circulates. The deviation from perspectives grounded in Lockean labour theory and Hegelian personality theories is obvious. Here, computational labour does not ‘protect’ creative labour but labours creatively itself. Rather than being required to verify the value of the work, it is always already subsumed as a core component of the artistic process; it exists, therefore, outside of the valuation processes employed by blockchain-based marketplaces such as Monegraph. Decentralisation platforms that employ distributed database technologies may initially have appeared as ‘anti-authoritarian code that could (technically) disrupt the banking state’ (DeForrest et al. 2015). Today, there is a danger that tying digital art to the blockchain will obstruct better theorisation of the ontologies of the digital or the value of art in a commons of networked creative expression. The spectre of the smart contract is instead looming as a high-efficiency financialisation tool, such as in the form of self-enforcing intellectual property licences. Once irreversibly tied to digital artefacts, such licences will surely impact how these artefacts can be created and shared. The fact that smart contracts, partly due to their decentralised nature, are presumed to be resistant to manipulation does not alleviate this concern. Algorithmic decentralisation inevitably translates to a lack of regulatory structures, which make such systems ‘prone to the kinds of hoarding, dumping, and manipulation that characterize all instruments that lack central bank control and regulatory oversight’ (Golumbia 2014). While the concept of decentralisation is thus useful for describing technical principles powering the blockchain, it does not serve well to describe the emerging economic structures created by blockchain-based services. In practice, it has indeed begun to emerge that cryptocurrencies incentivise centralisation, since focused control over large amounts of computer processing power (such as represented by dedicated mining ‘farms’) tends to result in disproportionate accumulation of circulating currency units. Massive wealth concentration can already be observed in prominent examples such as the Bitcoin system itself, where monopolisation is beginning to counteract the systems horizontal ideals (Samtani and Baliga 2015). A related concern is the fact that core processes underlying the operation of theoretically decentralised blockchain-based systems may be controlled by developers, system administrators, and others ‘whose influence does not depend on the computing power that they control but is rather derived from their function within the system’ (Gervais et al. 2014, p. 3). Likewise, in proprietary digital art markets such as Monegraph, ownership and control of the underlying computational infrastructure, representing the system’s means of (re-)production, lie outside the reach of the artists invited to use the service. The idea that commercial digital art markets based on blockchain technologies will empower artists by safeguarding their interests is naive. While the blockchain-based databases underlying Monegraph and similar initiatives may be of a decentralised nature, the information they contain is far from being held in common and can be removed from the control of the artists, who might find themselves disenfranchised and alienated from their creative labour in much the same ways in which creators have throughout the history of expanding IP regimes. Once decentralisation technologies are folded into proprietary, commercial products and services, models of centralised finance will be far from being disrupted but rather reinforced. The fact that such technologies are cryptographically secure might simply mean that the centralisation efforts they ultimately represent will be difficult, if not impossible, to counteract. Technology has always reflected the values of those who engineer it. Already, there is a diverse mix of stakeholders involved in shaping the future of the blockchain. While financial institutions and corporations are more and more dominating this mix, alongside artists and activists, it also includes software engineers, designers, policy makers, economists, and legal theorists. The blockchain holds considerable potential for the expression of diverse and wide-ranging critical perspectives, and if it is to be kept from being fully realised as yet another financial instrument, it is important that activists and artists are seen not as the ‘beneficiaries’ of pseudo-decentralised, blockchain-based IP enforcement technologies but, rather, as practitioners whose work performs crucially important tasks of exploring the socio-political, economic, and aesthetic potentials that this technology holds. Could digital art on the blockchain in this sense offer a more radical approach to intellectual property that goes beyond the mix of Lockean, Hegelian, and utilitarian perspectives that currently inform IP policy? What might such a perspective come to entail, if digital artists embrace what the blockchain has to offer technologically and conceptually while rejecting traditional private ownership ideals and commercial value based on artificial scarcity? When the blockchain becomes both medium and subject of critical artistic practice, artists will, at the very least, ‘(1) discover ways to extend the expressive and communicative range of tools, devices, and systems; (2) [make] connections that are neither necessarily utilitarian nor profitable [and] explore potential for diverse human interest and experience; (3) [and] do the cognitive work to make difficult abstractions more legible and fascinating’ (Catlow 2016). There can be no doubt that practitioners should have a voice in the shaping of a technology which, for better or worse, is going to stay with us and gain more importance for some time to come. In a recently published collaborative essay entitled ‘Futures Along the Blockchain’, the co-authoring artists and critics hoped to produce models ‘that use the blockchain to make our lives richer’ (DeForrest et al. 2015). Given current implementations of the technology, this statement invokes desires for the kinds of enrichment that a proprietary digital art marketplace could bring for an elite of digital art collectors. But such implementations serve to expand and fortify the power of existing institutions of the high-stakes art market, not to limit it. Concerns that the shifting of legal and ethical responsibilities to software will not point in the direction of a more open, free, and egalitarian network society but rather towards a society that is more strictly surveilled and controlled and that affords us less creative and critical freedom (e.g. Lessig 2006), ring more true than ever today. As I have argued, a self-governing utopia of digital art is not the likely outcome if the identity or authenticity of artworks becomes contingent on blockchain entries or if computational labour serves to determine and secure commercial value of art, supplanting the notion of immaterial labour. Through combination of the blockchain and IP rights management into a conceptual-computational financial technology, recent developments point in the direction of renewed vertical wealth concentration and the consolidation of control over decentralised systems. Now, more than ever, digital artists must develop tactics to resist the assimilation of creative practices into self-actualising, autonomously controlled commodity circuits of artificial scarcity and resist the broad-scale financialisation of digital art itself. It remains to be seen how emerging digital art practices may realise the disruptive, revolutionary potential of the blockchain and whether such practices can shape the blockchain towards the extension, rather than further enclosing, of the creative commons. Monegraph is one of several projects currently maturing into commercial products that use emerging financial technologies related to the blockchain protocol for the creation of proprietary digital art markets. Another noteworthy example, Ascribe (https://www.ascribe.io), is the subject of a separate essay, currently in the process of completion. My discussion in the present essay focuses on Monegraph because of its more immediate relevance to the underlying discussion of intellectual property issues. See Osberg 2013 on some of the difficulties digital artists face on the art market. Monegraph is an American project; US intellectual property law is thus the most relevant context for discussion in this essay. However, my arguments concern the philosophical underpinnings of intellectual property policy and involve general concepts of originality, authorship, and work that are universally applicable to debates around the regulation of ownership in and access to digital artefacts. See footnote 9 for a brief discussion of controversy around the designation of Bitcoin as a currency. See Section 2 for details on the assumed unforgeability of the Bitcoin protocol. In economic and legal theory, it is commonly assumed that the digital, like information more generally, is ‘non-rivalrous’; this means that one person’s use of a digital artefact does not prevent others from using it simultaneously or subsequently (e.g. Moore and Himma 2014). Arguably, celebrated artists such as Ai Wei Wei or Olafur Eliasson also operate in a corporate mode, supervising and managing the production, marketing, and distribution of their work on a massive scale. See part I of Lessig (2006) for a popular account of this development. It is useful to draw a definitional distinction between ‘monetisation’ and ‘financialisation’ for the rest of my discussion. I take the former of the two terms to refer to the process of converting something of value into fiat currency, such as banknotes, or promissory currency, such as units of precious metals (see Schaps 2004 for a historical account of this process). The latter term has already been introduced in Section 1, above; I take it to refer, most generally, to processes through which value (potentially bound in currency) is further abstracted and converted into financial instruments (in addition to Foster 2007, see also Krippner 2005). Additionally, it is here worth pointing to debates about the categorical status of Bitcoin and similar financial instruments: it has become abundantly clear that cryptographic security does not ensure stability, and while it may be exceedingly difficult to structurally corrupt Bitcoin and similar ‘currencies’, it has been argued that their volatility precludes them conceptually from counting as a currency in the traditional sense (see Golumbia 2014). My use of the term ‘cryptocurrency’ throughout this essay is in acknowledgement of this controversy. A copy of the first GIF documented in such a transaction is included in Dash (2014). Bently and Sherman (2014), Hunter and Patterson (2012), and Coombe et al. (2014a)) provide useful overviews of copyright legislation for the UK, USA, and Canada, respectively. For a good example of this tendency, see the transcript of a panel discussion on this topic hosted by DIS Magazine (Sacks et al. 2015). Coombe (1994) provides a good critical survey of some early, formative studies in the history of copyright. Each of these perspectives have been re-examined and challenged time and again by legal and cultural theorists and philosophers. Critical surveys and analyses of intellectual property theory’s multi-stranded philosophical underpinnings can be found in Drahos (1996), Moore (2008), and, for a more conservative perspective that includes a substantial discussion of Kant’s philosophy of rights, Merges (2011). For detailed discussions of the idea/expression-dichotomy, see Samuels 1988 and Drassinower 2012. In most legal systems, moral rights (which may be perpetual and inalienable) refer to exclusive rights retained by creators even after artworks are sold or moved into the public domain; this includes, for example, artist’s right to be recognised as the creator of a work and the right to ensure the integrity of an artwork. See Hansmann and Santilli (1997) for an introduction and overview of the general legal role and economic implications of the concept and Rigamonti (2006) for a critical analysis of the adoption of moral rights perspectives across common law and civil law legal systems. A more comprehensive discussion linking questions of property in Hegel’s Philosophy of Right to intellectual property and the concept of appropriation is included in my PhD thesis (Zeilinger 2009, pp. 35–40). This view resonates through the majority of current copyright statutes and can be traced back as far as the Statute of Anne (1710), which explicitly describes copyright as a tool to incentivise creators’ productivity for the benefit of the public. Notable exceptions are beginning to emerge in contemporary case law, for example in a series of 2012 Supreme Court of Canada decisions that foreground the importance of user rights, rather than owners’ rights. See Coombe et al. 2014b. See Boon 2010, 101ff. for a more detailed discussion. See Doctorow 2011 and Jackson 2011; on library boycotts launched as a response, see Bonfield 2013. A comprehensive overview of DRM practises and implications is provided in May 2007. The casualisation of immaterial labour and its invasion of parts of our lives that were not previously assumed to be linked to ‘work’ is a second important dimension highlighted by Lazzarato and must be referenced here for the sake of completion, although it is not directly connected to my discussion in this essay. The lessons we might learn in this regard from looking backwards to a related, earlier push in the same direction—represented, for example, by the conceptual art of the 1960s and 1970s—is the subject of a separate essay, currently under completion. See Golumbia 2014 for references collecting these viewpoints. Additionally, there is a growing number of initiatives that use blockchain technologies for purposes that straddle the divide between art project, community activism, and non-corporate business venture. Applications that decouple decentralisation from financial technology include document verification platforms (https://proofofexistence.com/about), blockchain voting systems (https://followmyvote.com), democratic project coordination (http://dcentproject.eu/about-us/), and crowdfunding initiatives (https://wavesplatform.com), to name but a few. It remains to be seen how successful any of these initiatives will turn out to be. Versions of this essay were presented in Montreal (Media Art Histories conference 2015), Washington D.C. (College Art Association conference 2016), and Cambridge/UK (Cultures of Digital Economy conference 2016). I am grateful to Dr. Ashley Scarlett, Alberta College of Art & Design, for comments on early drafts of this essay and to two anonymous reviewers for their insightful feedback. Bellamy, J. (2007). The Financialization of Capitalism. Monthly Review 58(11). http://monthlyreview.org/2007/04/01/the-financialization-of-capitalism/. Accessed 16 Nov 2016. Biennale, B. (n.d.). Blockchain visionaries. http://bb9.berlinbiennale.de/participants/simon-denny/. Accessed 20 Sept 2016. Bitcoin Glossary (n.d.). 51 % attack, majority hash rate attack. https://bitcoin.org/en/glossary/51-percent-attack. Accessed 26 Sept 2016. BitFury Group (2015). Public versus private blockchains. Part 1: permissioned blockchains. http://bitfury.com/content/5-white-papers-research/public-vs-private-pt1-1.pdf. Accessed 7 Sept 2016. Bonfield, B. (2013). Ending a HarperCollins Boycott (February 27, 2011-August 7, 2013). http://www.inthelibrarywiththeleadpipe.org/2013/ending-a-harpercollins-boycott-february-27-2011-august-7-2013/. Accessed 17 Sept 2016. Bookchin, N., & Shulgin, A. (1999). Introduction to Net.Art (1994–1999). http://subsol.c3.hu/subsol_2/contributors/bookchintext.html. Accessed 2 May 2016. Boucher, B. (2015). Art Basel dealers report tsunami of sales in first few hours. https://news.artnet.com/market/art-basel-dealers-report-sales-308752. Accessed 6 Sept 2016. Buterin, V. (2014). A next-generation smart contract and decentralized application platform (white paper). https://github.com/ethereum/wiki/wiki/White-Paper. Accessed 8 Sept 2016. Carroll/Fletcher Gallery (2016). Neoliberal Lulz: Constant Dullaart, Femke Herregraven, Émilie Brout & Maxime Marion, and Jennifer Lyn Morone. http://www.carrollfletcher.com/exhibitions/50/overview/. Accessed 2 May 2016. Catlow, R. (2016). Art and the blockchain. https://www.digitalcatapultcentre.org.uk/art-and-the-blockchain/. Accessed 28 Sept 2016. Chan, J. (2012). From browser to gallery (and back): the commodification of net art 1990–2011 (M.A. Thesis). https://www.hit.bme.hu/~buttyan/courses/BMEVIHIM219/2009/Chaum.BlindSigForPayment.1982.PDF. Accessed 2 May 2016. Chaum, D. (1982). Blind signatures for untraceable payments. Advances in Cryptology Proceedings of Crypto, 82(3), 199–203. http://www.hit.bme.hu/%7Ebuttyan/courses/BMEVIHIM219/2009/Chaum.BlindSigForPayment.1982.PDF. Accessed 16 Sept 2016. Constine, J. (2014). Monegraph uses Bitcoin tech so internet artists can establish ‘original’ copies of their work. http://techcrunch.com/2014/05/09/monegraph/. Accessed 1 May 2016. Coombe, R.J., Wershler, D., Zeilinger, M. (2014b). Introducing dynamic fair dealing. http://papers.ssrn.com/sol3/papers.cfm?abstract_id=2644443. Accessed 16 Sept 2016. Cornell, L. (2016). Algorithmic models of art’s future. http://rhizome.org/editorial/2016/apr/25/institute-for-southern-contemporary-art/. Accessed 1 May 2016. Creative Commons (n.d.). About the licenses. https://creativecommons.org/licenses/. Accessed 1 May 2016. Dash A. (2014). A Bitcoin for digital art. https://medium.com/message/a-bitcoin-for-digital-art-8c7db719e495#. Accessed 1 May 2016. DeForrest, B., A. Bawa-Cavia, M. McConaghy, B. Rogers, S. Hart, M. Dryhurst, M. Sutherland, C. Tolan, N. Khan, N. J. Scavo, R. J. King, E. Bee, A. Liu, Y. Pattison, G. Chatonsky, J. G. Biberkopf, Z. Taylor (2015). Futures along the blockchain. http://futuresalongtheblockchain.com/. Accessed 1 May 2016. Doctorow, C. (2011). Ebooks: durability is a feature, not a bug. The Guardian March 8, 2011. https://www.theguardian.com/technology/2011/mar/08/ebooks-harpercollins-26-times. Accessed 17 Sept 2016. Drassinower, A (2012). Copyright is not about copying. Harvard Law Review, 125, 108–119. http://ssrn.com/abstract=2069156. Accessed 23 Sept 2016. Forbes, A. (2015). The art market’s record breaking €51 billion year, explained. https://www.artsy.net/article/editorial-the-art-markets-record-breaking-51-euros-billion. Accessed 6 Sept 2016. Ford, P. (2014). Marginally useful. MIT Technology Review. https://www.technologyreview.com/s/524691/marginally-useful/. Accessed 21 Oct 2016. Foster, J.B. (2007). The financialization of capitalism. Monthly Review, 58(11). http://monthlyreview.org/2007/04/01/the-financialization-of-capitalism/. Accessed 7 Sept 2016. Friedrich Petzel Gallery (n.d.). Blockchain future states. http://www.petzel.com/exhibitions/2016-09-08_simon-denny/. Accessed 20 Sept 2016. Furtherfield (2015a). Art | Data | Money. http://www.furtherfield.org/artdatamoney/. Accessed 2 May 2016. Furtherfield (2015b). The human face of cryptoeconomics. http://furtherfield.org/programmes/exhibition/human-face-cryptoeconomies. Accessed 2 May 2016. Gervais, A., Karame, G.O., Capkun, S., Capkun, V. (2014). Is Bitcoin a decentralized currency? IEEE Security & Privacy, 12(3), 54–60. http://www.syssec.ethz.ch/content/dam/ethz/special-interest/infk/inst-infsec/system-security-group-dam/research/publications/pub2014/spmagazine_gervais.pdf. Accessed 21 September 2016. Golumbia, D. (2014). Bitcoin: the Cryptopolitics of cryptocurrencies. http://harvardpress.typepad.com/hup_publicity/2014/02/bitcoin-the-cryptopolitics-of-cryptocurrencies-david-golumbia.html. Accessed 1 May 2016. Institute of Network Cultures (2016). Moneylab: economies of dissent. http://networkcultures.org/moneylab/. Accessed May 2 2016. Jackson, N. (2011). Boycott HarperCollins: publisher limits library E-Book lending. The Atlantic, March 11, 2011. http://www.theatlantic.com/technology/archive/2011/03/boycott-harpercollins-publisher-limits-library-e-book-lending/71821/. Accessed 17 Sept 2016. Kallinikos, J., Aaltonen, A., Marton, A. (2010. A theory of digital objects. First Monday, 15(6/7). http://firstmonday.org/ojs/index.php/fm/article/view/3033/2564. Accessed 22 Sept 2016. Lessig, L. (2006). Code version 2.0. New York: Basic Books. http://codev2.cc/download+remix/Lessig-Codev2.pdf. Accessed 2 May 2016. Lucchi, N. (2005). Intellectual property rights in digital media: a comparative analysis of legal protection, technological measures and new business models under E.U. and U.S. law. http://ssrn.com/abstract=704101. Accessed 6 Sept 2016. May, T.M. (1988). The Crypto Anarchist Manifesto. http://www.activism.net/cypherpunk/cryptoanarchy.html. Accessed 16 September 2016. Monegraph (2015a). Monegraph terms of service (revised November 19, 2015). https://monegraph.com/tos. Accessed 1 May 2016. Monegraph (2015b). What is a Monegraph license? https://monegraphhelp.zendesk.com/hc/en-us/articles/208202708-What-is-a-Monegraph-license-. Accessed 1 May 2016. Monegraph (n.d.). Call to creators: take control of your media. https://monegraph.com/creator. Accessed 1 May 2016. Moore, A., & Himma K. (2011). Intellectual Property. Stanford Encyclopedia of Philosophy. http://plato.stanford.edu/entries/intellectual-property/. Accessed 15 November 2016. Moore, A.D., & Himma, K.E. (2014). Intellectual property. In N. Zalta (Ed. ), Stanford encyclopedia of philosophy. http://ssrn.com/abstract=1980917. Accessed 1 May 2016. Myers, R. (2014). Facecoin. https://robmyers.org/facecoin/. Accessed 2 May 2016. Nakamoto S. (2008). Bitcoin: a peer-to-peer electronic cash system. http://article.gmane.org/gmane.comp.encryption.general/12588/. Accessed 8 Sep 2016. New Museum (2015). Blockchain horizons. http://www.newmuseum.org/calendar/view/blockchain-horizons. Accessed 1 May 2016. Osberg, M. (2013). Would you pay $2,000 for a GIF? The Verge Oct 17, 2013. http://www.theverge.com/2013/10/17/4844814/would-you-pay-2000-for-a-gif. Accessed 16 September 2016. Rozendaal, R. (2013). If no yes. http://www.ifnoyes.com/. Accessed 1 May 2016. Sacks, S., McCoy, K., Salditch, Z., Ramić, A., Ostrow, S., Pepi, M. (2015). Monegraph and the status of the art object. http://dismagazine.com/discussion/73342/monegraph-and-the-status-of-the-art-object/. Accessed 1 May 2016. Samuelson, P., & Davis, R. (2000). The digital dilemma: a perspective on intellectual property in the Information Age. Telecommunications Policy Research Conference. http://people.ischool.berkeley.edu/~pam/papers/digdilsyn.pdf. Accessed 6 September 2016. Scott, B. (2014). Visions of a Techno-Leviathan: the politics of the bitcoin blockchain. E-International Relations. http://www.e-ir.info/2014/06/01/visions-of-a-techno-leviathan-the-politics-of-the-bitcoin-blockchain/. Accessed 8 Sept 2016. Siner, E. (2013). If the internet is your canvas, you paint in zeros and ones. http://www.npr.org/sections/alltechconsidered/2013/10/29/241645097/when-the-internet-is-your-canvas-you-paint-in-zeros-and-ones. Accessed 6 Sept 2016. Szabo, N. (1998). Contracts with bearers. http://szabo.best.vwh.net/bearer_contracts.html. Accessed 16 Sept 2016. Taylor, M.C. (2011). Financialization of art. Capitalism and Society, 6(2), Article 3, 1–22. http://papers.ssrn.com/sol3/papers.cfm?abstract_id=2208046. Accessed 6 Sept 2016.